Crankworx 2016 in Les Gets. The schedule & action this week! 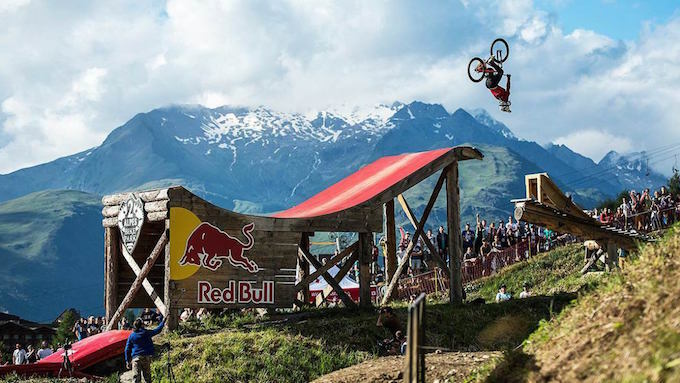 Crankworx Les Gets is happening this week and it’s looking crazy! If you have or haven’t heard about this world famous competition – well let’s just fill you in. This is the Mecca for professional Mountain Bike and Dirt Bike professionals to show the world their skills on a crazy course. This year the alpine addition of the competition is happening in Les Gets and with months of hype the jumps are looking even bigger than expected! Here is a quick video of some highlights from the 2015 Rotorua Slopestyle Competition for you to see first hand the kind of action being thrown down this week in Les Gets! Otherwise tune in on Red Bull TV for live streaming of the event from 4.30pm (French Time) on 18th June. We’re super lucky for this competition to be based in Les Gets for the next 3 years, and we’ll be celebrating each evening at L’Aubergade. If you are in Morzine and out and about on your bike then come and visit us at L’Aubergade which is now open full time for food & drinks! *Remember your raincoats. Some competitions might be a little wet at the start of the season! Previous: Morzine! Rain rain, go away. Come back another day! Or don’t? Next: Winter 2016/2017 in Morzine will be Mountain Mavericks most exciting yet!